The definition of ‘wild dogs’ includes purebred dingoes, dingo hybrids and domestic dogs that have escaped or been deliberately released. 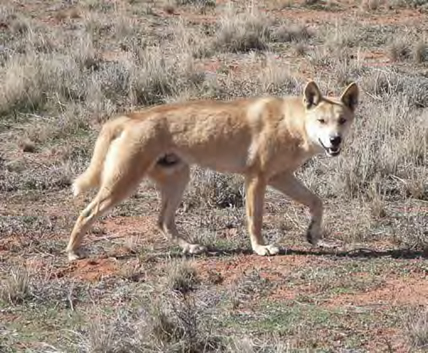 Dingoes were introduced to Australia around 4,000 years ago and domestic dogs-run-wild are dogs that have escaped, been abandoned, or deliberately released over the last 200 years and have survived or bred in the wild. Wild dogs are widely distributed throughout Australia and are present in most environments. Impact: As top-order predators, wild dogs hunt native and feral animals. So, wild dogs can help supress other introduced predators, such as cats and foxes, maintaining healthy ecosystem and biodiversity. However, wild dogs can also cause losses of livestock on grazing lands, or native species such as koalas, and can spread disease, such as tapeworms.